“I started at Krav Maga Maryland in March of 2018 through their 6 Week Challenge. I’ve had such great success in building fitness, strength, and confidence here! The instructors are all genuinely interested in seeing each of their students succeed with whatever your goal(s) might be. You can and will be pushed to your limit during any of the classes offered here, but you will be a much stronger person once you get through it. “The training quality at Krav Maga Maryland is unrivaled. 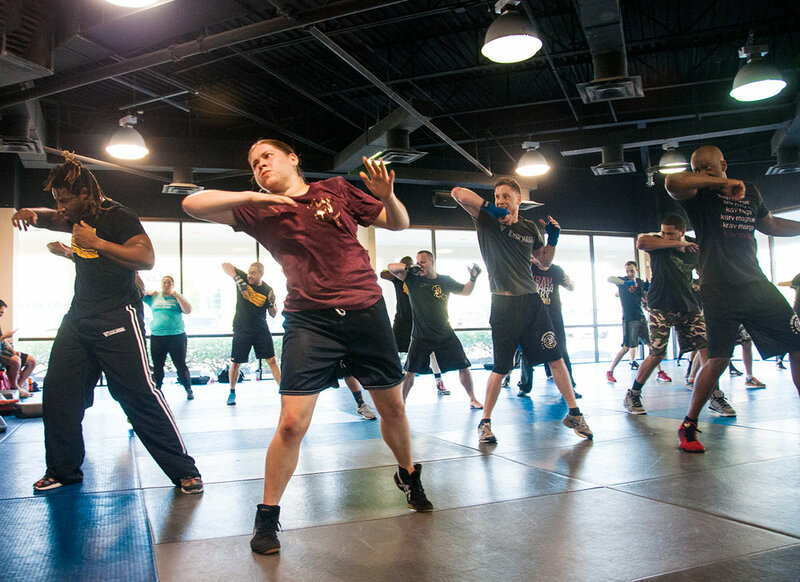 From the highly competent and emotionally intelligent instructors to the camaraderie and ferocity of fellow Krav students on the mat, KMMD has fostered and achieved a truly unique ecosystem. “Loved working out here. Gained 12 and a half pounds of muscle in 6 weeks. I look so much better, especially in my arms by my shoulders. Couldn't ask for a more supportive group of not only instructors but workout buddies as well. Had a ton of fun and would recommend anyone trying to get into better shape and learn some self defense along the way to give this a shot.